DocResources is committed to providing the highest quality copiers and printers at the best possible value. DocResources has the solution to your needs. 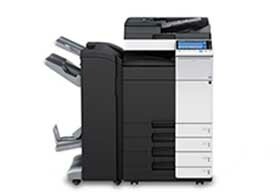 Kyocera TASKalfa brings maximum productivity, plus exceptional color and black & white output to document imaging. Flexible configurations, advanced finishing and seamlessly integrated business applications power workflow. Kyocera’s award-winning ultra-reliability, ensure superior performance and maximum efficiency. When it comes to document imaging, innovation and quality you can rely on, Kyocera TASKalfa. With Konica Minolta, you’ll have innovative MFP solutions that give shape to ideas. Every Konica Minolta Office MFP and desktop printer/copier benefits from a design philosophy that puts more power in less space, with simple control and plug-and-play integration of software solutions. 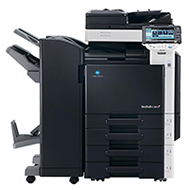 You’ll have a wide range of choices in color and B&W, all with high-tech features and workhorse reliability – qualities that make Konica Minolta today’s first choice in office productivity. Whether your workgroup needs exceptional copier performance or the added power of printing, scanning and faxing, the Xerox WorkCentre is all about productivity. A host of time-saving features boost your team’s efficiency and advanced workflow solutions streamline the tasks you perform every day. With fast deployment and easy support, your Xerox WorkCentre is ready to deliver the performance you need, when you need it. 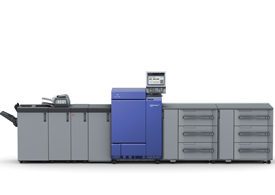 With up to 100 ppm output speed in brilliant color, the Konica Minolta bizhub PRESS C1100 color press raises the bar in digital productivity, saves space on your production floor and saves time and labor costs with simple operation and powerful in-line finishing. Rrealistic color images to rival offset printing at a fraction of the cost. SEAD IV Screen-Enhancing Active Digital Processing System that continuously maintains image stability over long press runs. Enhanced Simitri® HDE toner for superior halftone and skin-tone reproduction, with biomass plant-based material to reduce environmental impact. Muratec's new MFX-C3680N turns that "good enough" into "Wow!" Featuring a high-definition color reproduction system, the MFX-C3680N turns your everyday color business documents into extrordinary. Full color printing at up to 36 pages-per-minute. Print on a variety of media with sizes up to 12" x 18", envelopes, heavy stocks, tab-folders, labels and more. Touch and swipe simplicity mirrors the usability of a mobile device. Distribution-ready output with optional stapling, sorting, hole-punching and more. Next generation security features such as biometric authentication, which recognizes finger vein patterns. DocResources carries a wide variety of desktop printers. From leading manufacturers like HP, Xerox, Muratec, Kyocera and Epson . Offering features that help your business thrive. Scan, print, fax and if attached to a network, can be capable of scanning to desktop or to a network drive. Let us show you how to take your desktop printing to the next level. Get your free quote on a printer lease. With DocResources Managed IT Solutions you can rest easy. By day our professional technicians will take care of your systems. By night our Disater recovery options will keep your data safe. In today’s era of technological reliance, damage to your data can be caused by many factors. It happens more often than you would expect. Planning for an IT disaster is imperative. Our Disaster Recovery Solutions can be as simple as backing up to the cloud. Or as complex as cloud servers ready at a moment’s notice for business continuity. Our data centers are redundant across multiple locations. Access data from anywhere using our web portal. We are 100% HIPA compliant. And with File Synchronization and Bare Metal recovery, you are fully covered. Our backup software supports a wide variety of OSs. Document Management Systems (DMS) can help you store, manage and track electronic documents. 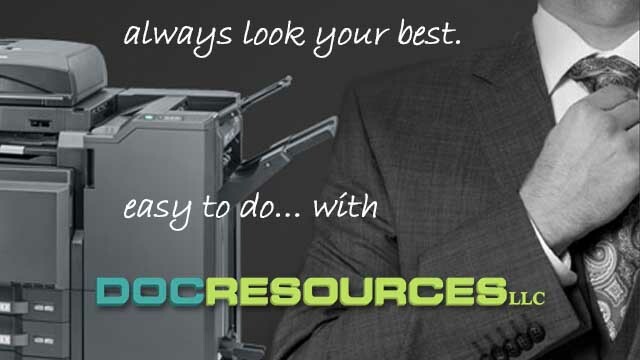 DocResources offers the “Best of Breed” in Document Management Systems. Scanned documents can be indexed, searched and retrieved. With versioning, roll back to an earlier version becomes a breeze. Security features allow only authorized users to access your data.Document Management includes an audit trail that easily provides you with a digital finger print of who stored, accessed and altered documents. Cut cost by cutting down on paper consumption. Contact us for more information on Document Management Systems. Today’s business environment requires the ability to react organically to change because business tools and software are evolving rapidly. To make the most out of new technologies and the opportunities they present DocResources provides you with multiple copier lease options. 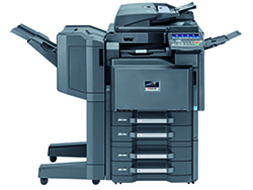 With a copier lease expenses like replacement toner and maintenance service can be included in the lease. Giving you a predictable monthly cost. Businesses can reduce cost with a Standardized Printer Fleet in several ways. Reduce cost on consumables (toner, ink, paper) and maintenance. A workgroup printer can reduce cost by eliminating many high electricity consuming desktop printers. Organizations can save as much as 65% of total printing costs through printer consolidation. We learn your business workflow. Where printers are placed and how those copiers and printers are used. We gather information on the number of copies/prints performed each month. 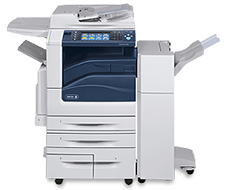 We then analyze that data and advise you on the best copier/printer lease for your needs and their most economical placement. In most cases we can show customers several ways they can save. Contact us for your free On-Site Analysis. Most Copier Leases are structured so you can depreciate the expense immediately. On a purchase the asset would depreciate over a longer period of time. Organizations can begin seeing great value with a copier lease. Businesses grow and change, sometimes overnight. New technologies emerge. With a purchase, you are stuck with that technology for many years. Alternatively, when leasing a copier/printer the lease ends, usually after 3 years. Allowing you to obtain the latest technology. In some cases changes can be negotiated during the lease period so your copier changes as your needs change. DocResources is committed to our customer’s needs throughout the lease term. From free site evaluation, recommendations, full-service installation, toner replacement and maintenance service. Reevaluation of your needs at lease end. Contact us to start the process. We at DocResources look forward to finding solutions to your needs. Please call, email or use the form below to tell us what your Copier Lease and IT Managed Services needs are. When the Print Counts... Count on us.